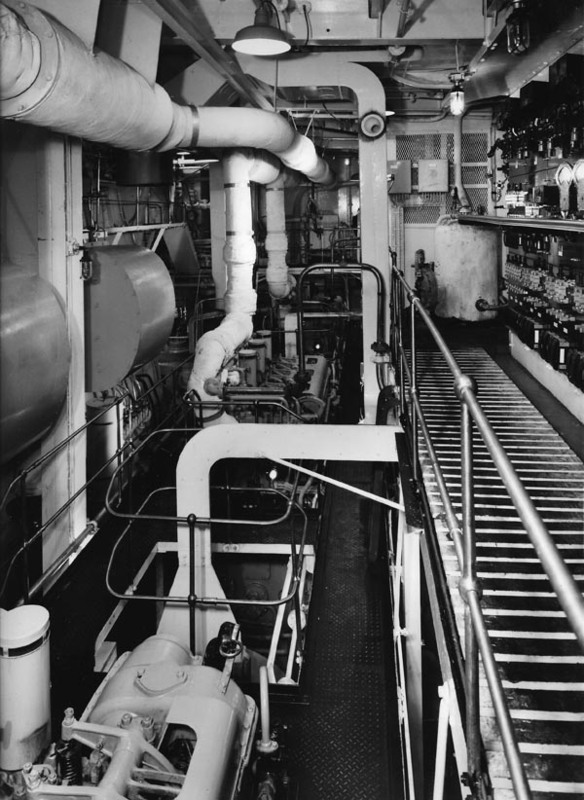 Looking aft along generator starting platform. Photos from the collection of the late Alec Osborne. Copyright © Reardon Smith Ships.